The A.J. Meerwald will be docking in New Castle from May 18th through May 20th. 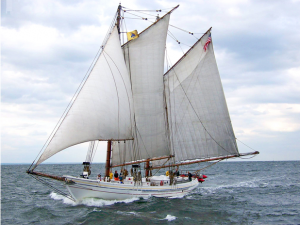 The Schooner A.J. Meerwald is New Jersey’s official Tall Ship. She is a restored oyster dredging schooner, whose home port is in Bivalve, Commercial Township, New Jersey. Launched in 1928.